Buying a home is stressful enough, let alone trying to find a mortgage lender you can trust. After reading this article you will know more about the amazing Wendy Thompson Lending Team and their track record for unparalleled expertise in the loan industry. We also will explain how they will get you the best VA Loan Rates for 600 to 630 credit score. 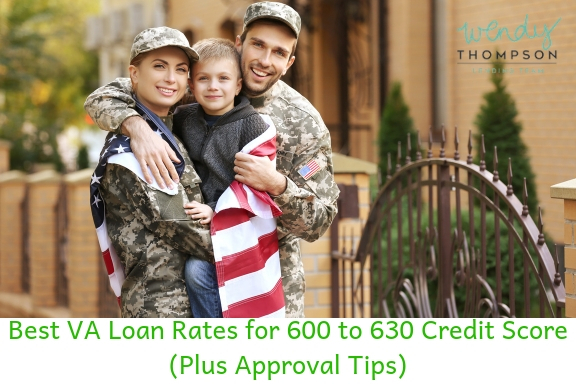 We will review the Best VA Loan Rates by Credit Scores of 600, 605, 610, 615, 620, 625 and 630; along with discussing practical tips on how to increase your credit score quickly and how this can greatly benefit your pocket book. While the Veterans Affairs office does not require a high credit score to qualify for a VA mortgage, generally, a lower credit score like 600, 605 or even 609, will not give you very many options. This doesn’t mean you will not be approved, it just means that your loan lender will look at additional factors. Such as, important lending indicators like your debt to income ratio. People with credit scores in the 600, 605 to 609 range statistically are more likely to default on their mortgage. One tool the lenders use is how much money you earn compared to how much money you spend on a monthly basis. VA home loans tend to have a higher debt to income ratio, usually, close to the 40% margin. This means that your monthly mortgage costs no more than 40% of your monthly take home income. 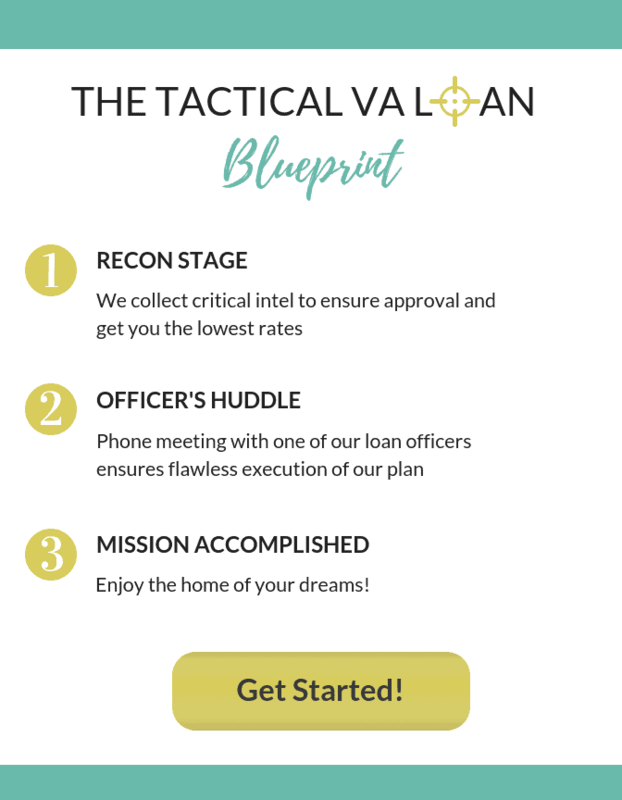 "Even down to a 580 FICO score, I will always present any financing opportunity that can be immediately available to the Veteran. However, I also like to educate them about how their financing opportunities can expand and terms improve when their credit scores improve to 620, 640, 660 and so forth. I encourage them to make certain adjustments to their credit card balances or other financial tweaks that could provide quick improvements to their credit score." VA loan interest rates for a credit score of 610, 615 to 619 will normally have a higher APR rate than higher credit scores. The APR rate, or, Annual Percentage Rate, is the amount of interest you will pay over the life of your loan. Credit scores in the 610 range will qualify for VA loans with higher APR’s. This is important because just a 0.50% higher APR will result in you paying tens of thousands of dollars more for your mortgage. Later in this article we will discuss how you can quickly increase your credit score and hopefully obtain a lower APR rate for your new mortgage. One positive about qualifying for a VA Loan is that there is no down payment required. Even if you have a credit score of 620, 625 to 629, so long as you are active military, a veteran or a reservist, you should qualify for a VA mortgage. 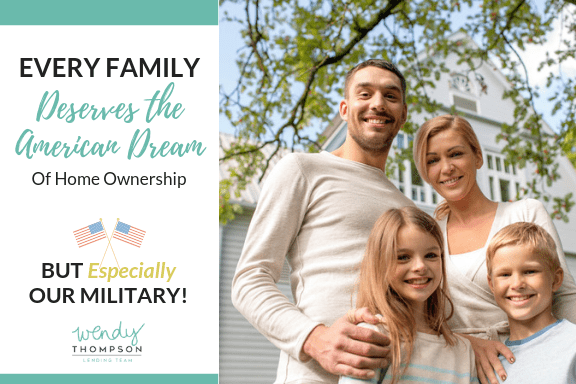 This is something that you will want to discuss with the Wendy Thompson Lending Team as they will be able to explain all the benefits of obtaining a VA home loan. If you have a credit score in the 630, 635 to 639 range, there are probably a few factors that are affecting your credit score. Knowing these factors can affect your credit score now should help you make sounder decisions with your finances moving forward. Whether you have a credit score of 600, 605, 610, 615, 620 625, 630 or 635, you can still quickly increase your credit score so your lender can get you approved for a home loan and possibly a better interest rate. Following these simple six steps can help to increase your credit score significantly. Be sure to discuss your situation openly and honestly with the Wendy Thompson Lending Team because they will be able to help you prioritize what will have the biggest positive impact on your credit score.